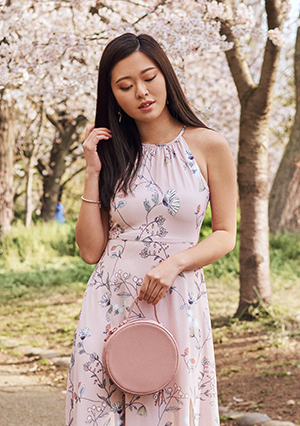 A collaboration between The Closet Lover and Pearlyn & Paper, Laudrie Watercolour Printed Dress features watercolour brush strokes all over in warm hues of pink, yellow and tinge of orange, hand-drawn by Pearlyn (@pearlynkmin) from Pearlyn & Paper. Whimsical and feminine, the watercolour prints showcase the TCL girl. Laudrie Watercolour Printed Dress is made of polyester blend, fully lined. Worn fitting, complete with a concealed back zip closure. Non sheer.